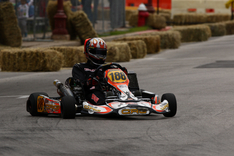 Marina now has sixteen years experience racing wheel to wheel in karts, starting when she was only four years old. In those sixteen years Marina has developed into earning a spot on a BMW team for JR Smith Coaching, winning countless Utah championships, and always being a threat for the victory. 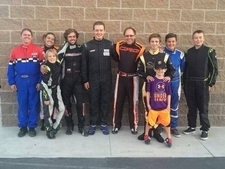 Marina currently races for Yardley Racing in the Utah Kart Championship series at Utah Motorsports Campus. 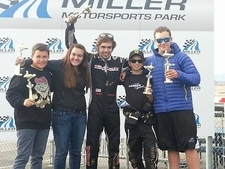 Marina has now been a karting instructor for five years, guiding many students on track to wins and championships, Including 2017 UKC Cadet LO206 champion, Collin Ruess. They will continue working toward a back-to-back championship for the 2018 Season. Marina can provide excellent feedback for drivers of any age to help find confidence and key information on the following: driving, driver/chassis feedback, chassis tuning, competitor overtaking, and of course the never ending chase for more speed. If you are interested in receiving one on one advanced instruction or more information, please contact Marina Yardley at myardley99@gmail.com or (801)-326-9022.